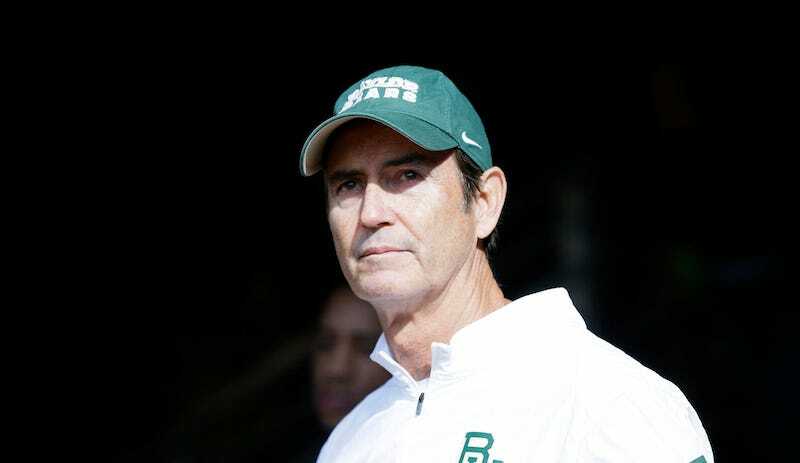 In May, Baylor released a report on law firm Pepper Hamilton’s investigation into since-departed head coach Art Briles and the sexual-assault scandal at the university’s football program. The strange thing was that its report wasn’t actually a report; instead, it was a brief “finding of facts” that offered few actual facts. In one of the alleged gang rapes, the victim, who also was an athlete, told her coach that she didn’t want to go the police. When notified of the allegation, Mr. Briles told the victim’s coach that he hoped she would go to the police, according to people familiar with the matter. One person close to the victim said she viewed Mr. Briles as supportive of her claim. However, Mr. Briles didn’t notify the school’s judicial-affairs office or the Title IX office, these people said. On May 24, two days before the board announced plans to fire Mr. Briles, he addressed regents in a conference room in an office tower across the Brazos River from the $266 million football stadium that opened in 2014. Baylor regents said that when Mr. Briles was asked what he would have done differently, he broke down and wept. Many board members began to cry as well. Mr. Cannon said Mr. Briles quoted Scripture and expressed his regrets over the painful situation Baylor was in, but didn’t admit to wrongdoing.